This was the only snow I saw all winter - surprisingly it wasn't in the countryside, but in central London! 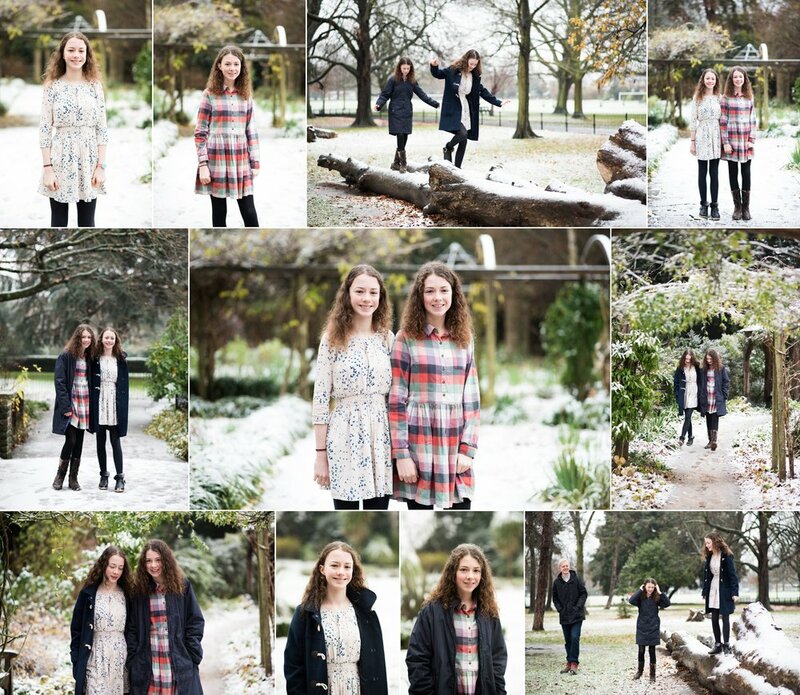 I was contacted to help with a surprise for their Mum - these girls had a photoshoot, and framed prints were ordered as a Christmas present for her! Apparently she was thrilled, so I'm delighted. The snow made for a beautiful backdrop; all the greenery was covered in a sprinkling of white.